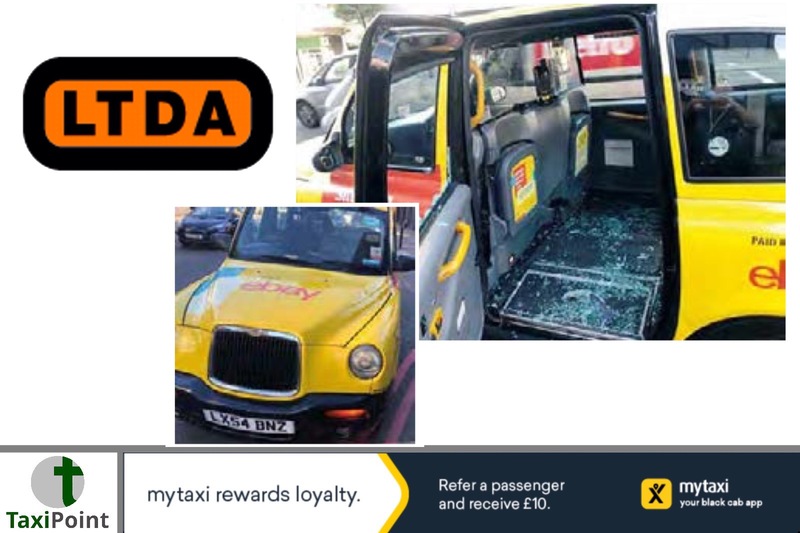 A terrified taxi passenger was injured after a moped rider launched an unprovoked assault on a cab in Edgware Road. The woman received minor cuts after being showered in glass when the man leapt from his bike and began attacking Glen Smith’s taxi on Monday, June 18, at 7.30am. Glen told TAXI that he was waiting to turn left into Marylebone at the lights in Edgware Road when the moped stopped in front of him. The 45-year-old, from Loughton, said: “I’m flabbergasted to honest. This moped pulled up close in front of me and I mean close – he looked behind and scowled at me. When the lights changed to green it didn’t move and there was a toot from behind me, so I tried to edge around him. Suddenly, he punched the bonnet of my taxi and then he jumped off his moped and tried to open the door, before going to the rear passenger door and smashing the window, causing the glass to break, covering my passenger. The attacker walked back to his bike and sped away from the scene leaving Glen to look after his shaken passenger. He managed to flag down another cab for her to continue her journey and spoke to several witnesses, all of whom agreed the attack had been unprovoked. Glen managed to take down the registration plate of the moped and police are now investigating.